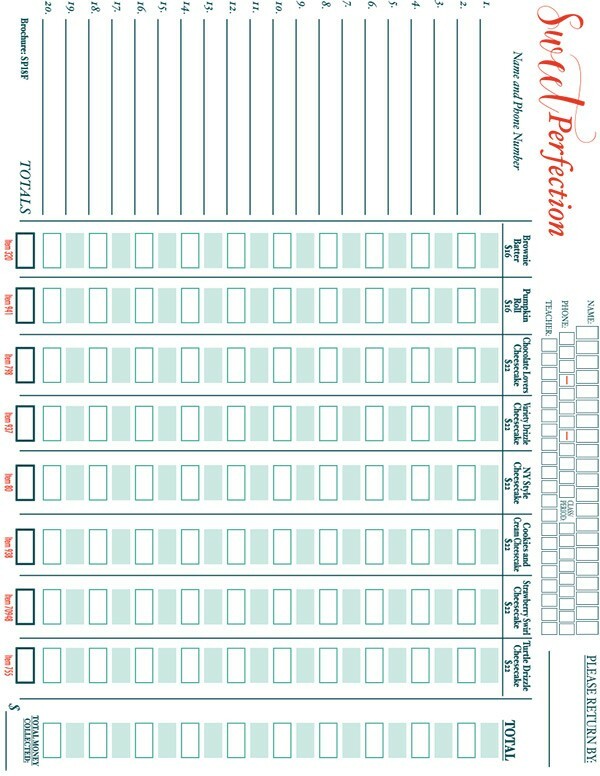 The Sweet Perfection fundraising program is our #1 selling fundraiser. 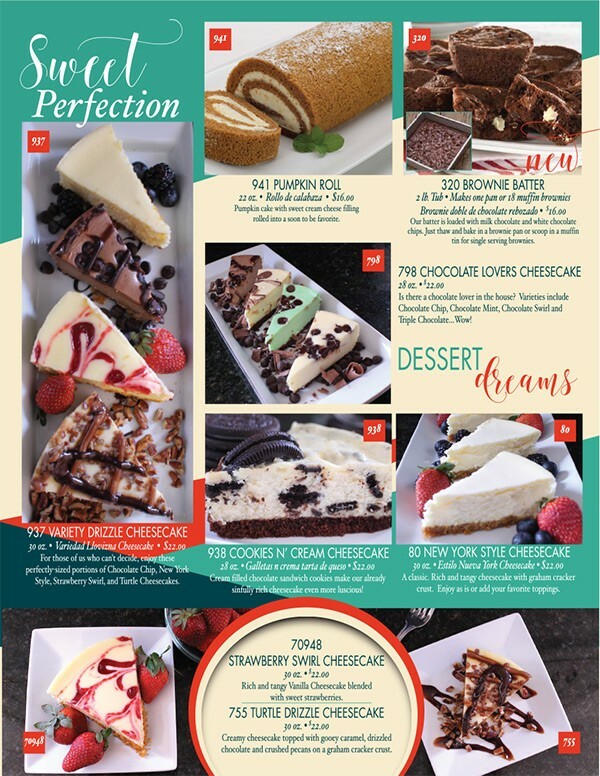 It offers 7 mouth-watering pies, cakes and cheesecakes in a beautiful 1 page Brochure. The Sweet Perfection cheesecake fundraiser is a recent addition to our fundraising line-up. The popularity of cheesecakes and cakes combined with the quality of our sweets, make this an excellent choice. Offer your supporters 7 scrumptious choices including: Cookies & Crème, Boston Crème Pie, Chocolate Lovers Cheesecake, Strawberry Swirl Cheesecake, Cookies & Cream Cheesecake, Variety Drizzle Cheesecake and Turtle Drizzle Cheesecake. You’ll find that by just showing this brochure, the cheesecakes will sell themselves! Quality & Convenience: Cheesecakes may be frozen up to 6 months. All of our products are produced in a facility that uses milk, soy, peanuts and tree nuts. FREE to Start: The Sweet Perfection fundraising program costs absolutely nothing to get started. Simply let us know how many fundraising participants you have and we’ll send 1 order-taker for each of them, at no charge. Reach Your Fundraising Goal: Your group makes 40% profit on all sales! That's $8 profit per pizza! Aim for 400 units, in order to get free shipping. Sell 200 items - you make $1,600 minus your $200 shipping charge for a profit of $1,400 – not bad! Sell 400 items, and you'll profit $3,200 (Based on an average selling price of: $20). Priced To Sell: Only $16-$22. All Cheesecakes are 8in./32oz. How Does the Cheesecake Fundraiser Work? 1. Order 1 Cheesecake order-taker PER fundraising participant – they’re FREE of charge! Pack-to-the-case means that we will round up each flavor to a multiple of 4. Example 1: if you order 3 items of a given flavor, we will round it up to 4 items.